. 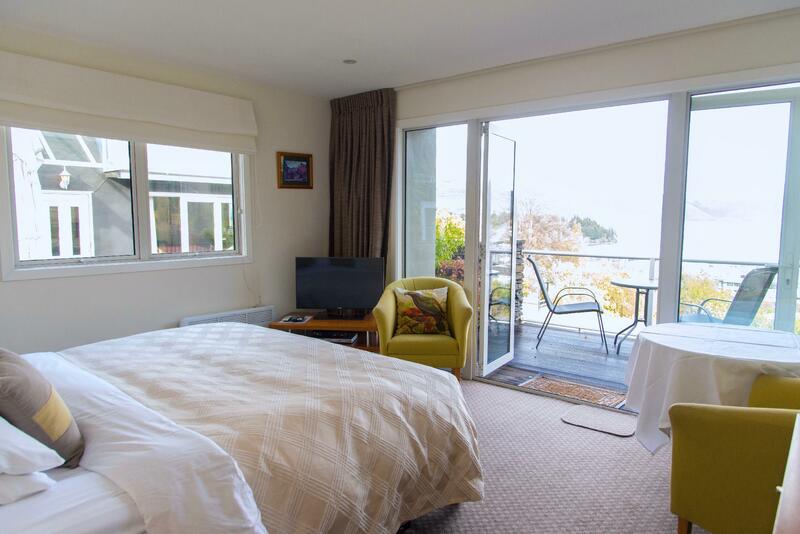 إن الخدمات التي يقدمها Queenstown House Boutique Bed & Breakfast and Apar تضمن للنزلاء إقامة مريحة. يمكن لضيوف الفندق الاستمتاع بالميزات التالية على أرض الفندق: واي فاي مجاني في جميع الغرف, تخزين الأمتعة, واي فاي في المناطق العامة, صف السيارات, خدمة الغرف . تتضمن كل غرف النزلاء وسائل الراحة والتسلية المصممة خصيصاً لضمان الراحة القصوى للضيوف. إن تدليك, حديقة هو المكان الأمثل في الفندق للاسترخاء وتفريغ طاقتك بعد نهار طويل. 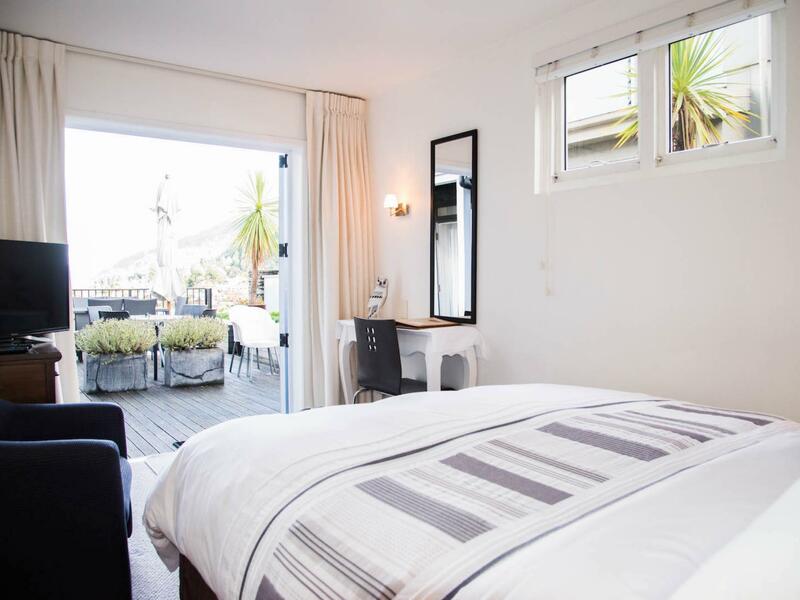 إن كنت تتطلع إلى إقامة مريحة وهادئة في كوينز تاون، فستجد في Queenstown House Boutique Bed & Breakfast and Apar بيتك الثاني. 4 of us stayed here in the 2 bedroom apartment for 3 nights and were not disappointed. 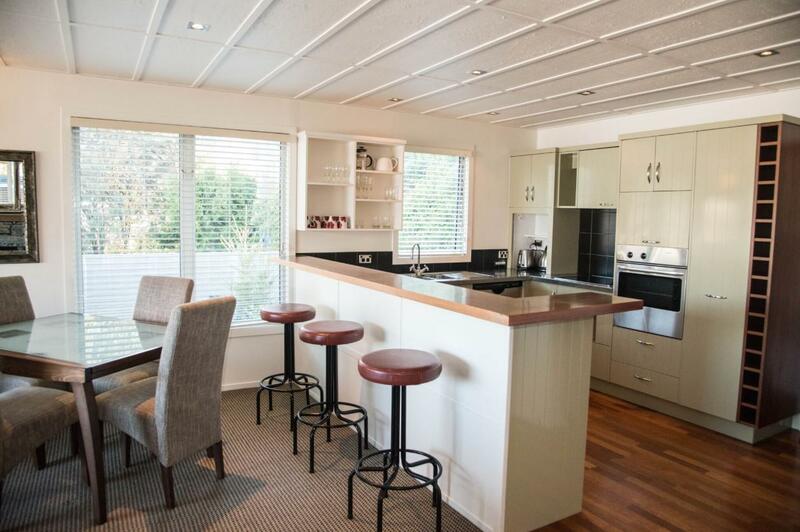 Spacious, comfy, relaxing and well heated with gas fire and aircon. Excellent view of lake . A number of choices are provided for breakfast and staff are very helpful. We would definitely stay here again if in QT. We were delighted with our stay here--views are stunning, staff is friendly, and the welcoming "happy hour" made the day. Everything was generous and over-the-top beautiful. Short walk to town, and a cab ride up if you don't want the exercise of a steep uphill return. Highly recommended! Always willing to help. For example, we needed to leave before breakfast time for an excursion, so they brought a portable breakfast to our refrigerator the night before. The 5:50-6:30 wine and appetizer time is a wonderful opportunity to chat with other guests and learn about things to do in the area, and to learn about other travelers. 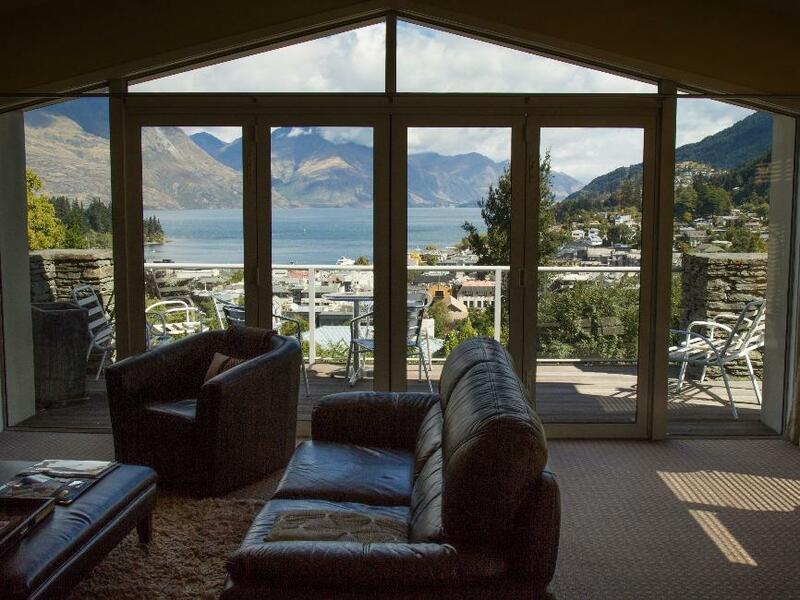 There’s a beautiful view of Queenstown and the lake from Queenstown House, too. You do have to be willing to climb a steep hill to get here from town, or take a taxi. This is our second stay here, and we recommend it. We booked a lake view studio based on the pictures posted on Agoda. I guess we should've looked at the photos more closely, but we were assigned a room right in front of the parking lot with a partial lake view ay best. You constant heat cars driving by literally a few meters away from your room and need to have the curtains drawn because otherwise there is no privacy. I later re-checked the photos, and they did post photos of this particular room, but the photos can be quite misleading and you might feel cheated. This place being bed and breakfast, they provide a takeway picnic breakfast for you if you need your breakfast early or later in the day. The instruction said we need to let them know 5 p.m. or earlier the day before, and when I told one of the staff that we need a picnic breakfast for the next day maybe 5 minutes before 5 p.m., they said they can't prepare the picnic breakfast for us because we told them too late. If they're so understaffed or inflexible, they should ask the guests when the check in if they're going to need the picnic breakfast during their stay. This place wasn't cheap, and I feel like I should've just booked another hotel near the lake with a better view and that is more convenient to walk around. My friends & I can’t rave enough about this place! From the homely welcome by the genuinely friendly staff, to the stunning views from our room & the B&B to our personal farewell, with packed breakfast for our early flight! 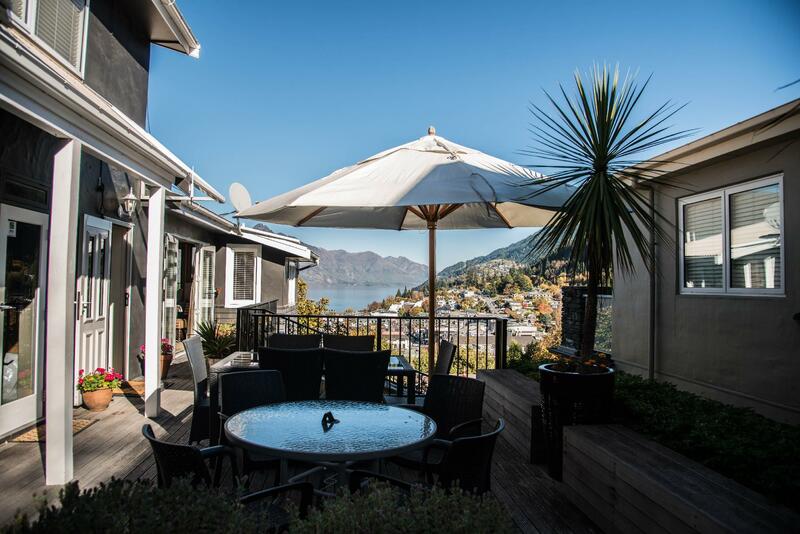 We were blown away by Queenstown House. I highly recommend this accommodation. We will be back! Thank you ever so much. It was a pleasure to have you stay. We are so thrilled that your enjoyed your time here and hope we see you all again on your next trip to Queenstown. We would also like to thank you for taking the time to write us such a lovely review. A big cheers from all the QT House Team. Safe Travels. Stayed at Queenstown House for 3 nights. We booked Family Room which has 2 nice comfy big beds. Location was great, short walk to town centre (steep slope though). We were hosted by Vicky and Emily, they're both very warm, friendly and helpful! Vicky offered us some useful tips to get around town. Breakfast was great! And the evening mingling session was a great idea to make some friends and exchange travel tips. 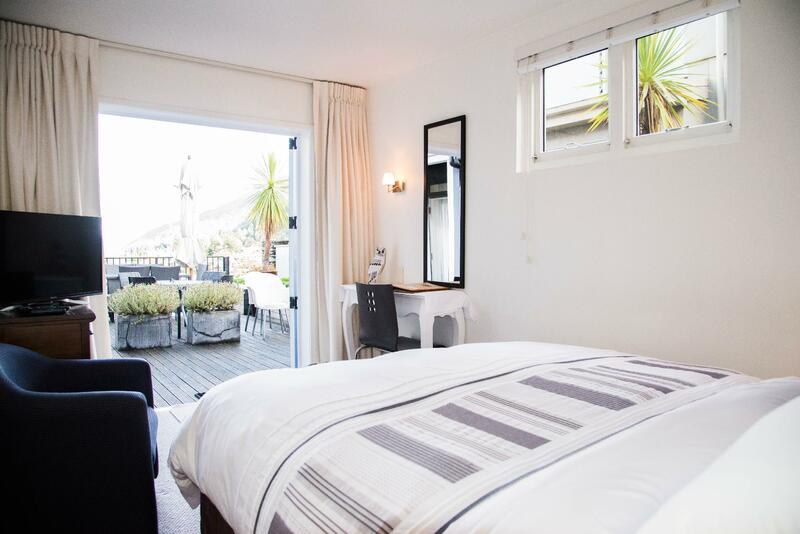 Personally I thought the price is on the high side, but I had an excellent experience at Queenstown House and might consider returning when I next visit this place. Incredible view from our room, friendly staff, and delicious breakfasts! 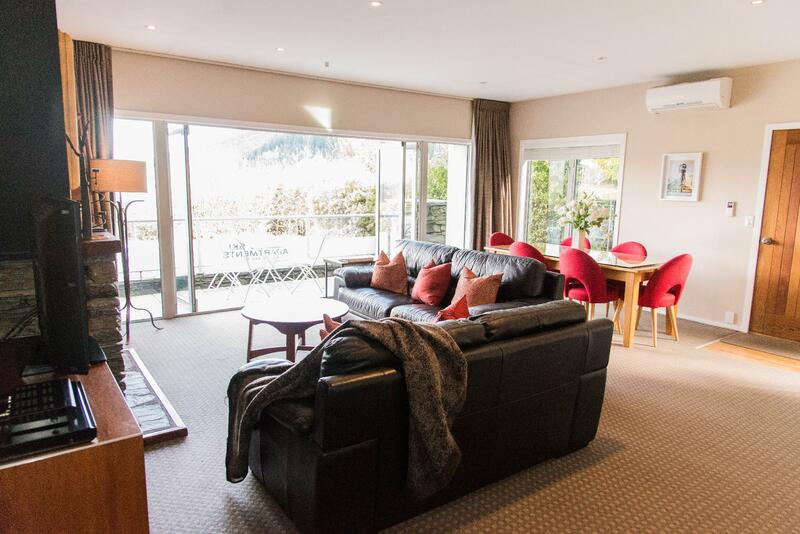 Our stay in Queenstown was made extra special because of our accommodations at Queenstown House! We had a wonderful stay and cannot recommend highly enough. The staff were warm, welcoming, and helpful. Happy hour wine and a great breakfast. We stayed 3 nights and wish we had stayed at least a week! I can't say enough positive things about Queenstown House. From the owner Louise to her staff to the lovely breakfast and happy hour. The views were amazing. The room was spacious and very clean. Nice patio and living spaces. Great advice given by staff. We had an early morning flight and they made us to-go breakfasts the night before to take with us. I hope to go back to Queenstown and would definitely stay there again. Personalised service and a lovely view in a convenient location. Complimentary pre-dinner drinks and a good breakfast. Couldn't ask for much more. Happy hour was great fun and breakfast was delicious. The staff were superb - really friendly and helpful. Rooms were lovely. Living with Louise is very pleasant and I stayed 4 nights with her. The house has an awesome view over the beautiful town and lake. You can park your car in the B&B and walk to everywhere, enjoying the town and escaping its horrible traffic. The happy hour in every afternoon is a must-show activity, DO NOT miss it. There two points which is not good about this house. The building is a bit old so its facility may not work properly. I nearly had a cold water shower in one night since everybody else used up the hot water. Going back to the house from town is tiring, imaging Dragon Warrior climbs up to the Jade Palace. Imogen and Sherrie were so helpful and experts in hospitality :) The breakfast and afternoon cocktails are great and very good opportunity to exchange itineraries with other travelers. 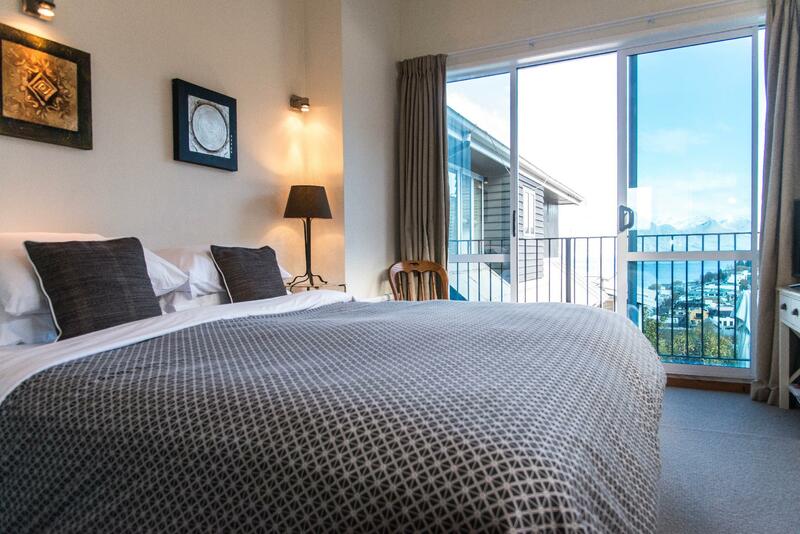 We had a great time here at Queenstown House and would love to return one day soon! Louise is a very friendly host and made sure we got an excellent run down of Queenstown and helped us plan our trip. Cherie looked after us while we stayed and made sure we had everything we needed and helped us out with bookings for activities with a smile every time. We really appreciated the service Cherie provided during the daily happy hour, where wine and canapés were continuously brought out to us. We met some great people on this trip and the location was so close to town, with just a short walk (and a very steep hill!) to help us burn off our dinner on the way back. 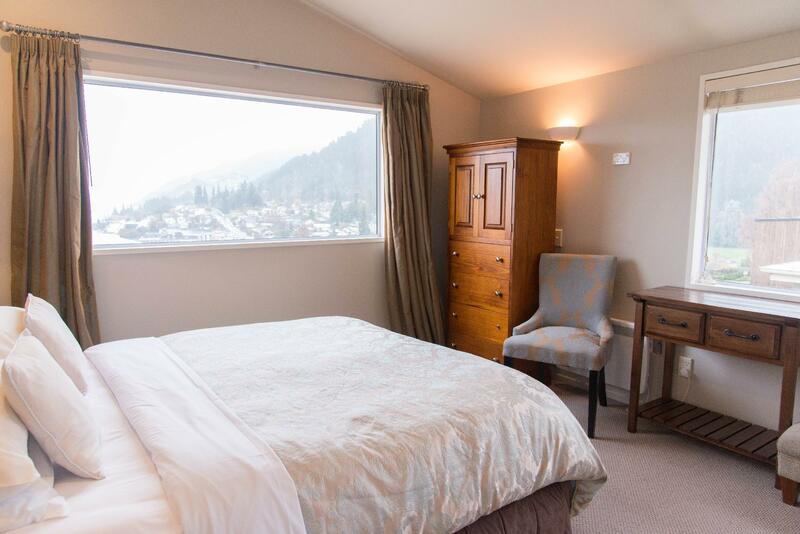 Thank you to Louisa and Cherie and we look forward to our next stay at Queenstown House! Great value for money. Warm and friendly host. A sumptuous breakfast is provided. Gathering with other guests at tea time (with crayfish !) makes it even more cosy! The walk up the hill home from town is a good workout to burn off the excess calories. Perfect accommodation. Friendly and courteous staff. Fabulous attention to patrons.